The Starter Pack is ideal for those just getting started as it contains the same powerful ingredients as our other Flexcin formulas, but the concentration is formulated to provide fast relief by reducing inflammation and increasing lubrication which reduces stiffness. 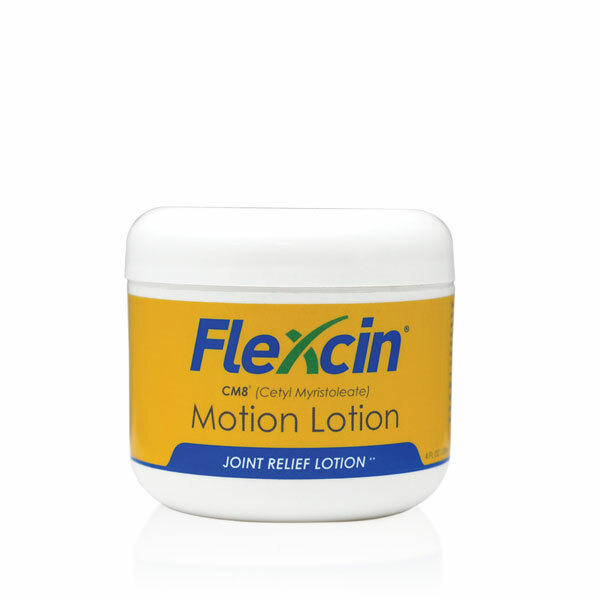 People with severe joint conditions may prefer to remain on the Load-Up Formula a little longer (3-6 months) before transitioning to the Joint Maintenance Formula. From Heather -Riley Watson of Oakland, Oregon on 9/18/2017 . My husband is a Mechanic at the Postal Service, a race car driver, a logger and a very busy man, needless to say his body has been well abused for many years now. He was always complaing of his shoulder hurting, wrist and back pain most of the time. He didn't want to go to see a Physician as usually the first step is a prescribe of some kind of narcotic. That wasn't a road he wanted to go down. He was told about this product by a co worker from the Postal Services. Soon after we ordered Flexin and it has been a life savor product for him to say the least. He is able sleep through the night, and is able to continue with his passion in Racing. I couldn't thank this company enough for giving my husband back his life with Flexin. From Gloria Ehrstrom of Mesa, Arizona on 5/22/2017 . I would like to thank you for putting out a great product. I took Flexcin years ago when I had a knee problem hiking down a mountain. I heard of Flexcin from a radio program and decided to try it. Glad I did, it not only helped, but I think it actually cured my knee problem since I've never had the knee pain since. My daughter ( in Washington state) recently was having a problem with her hips so I ordered a bottle of Flexcin to be shipped to her and she started taking it and she is just fine now. 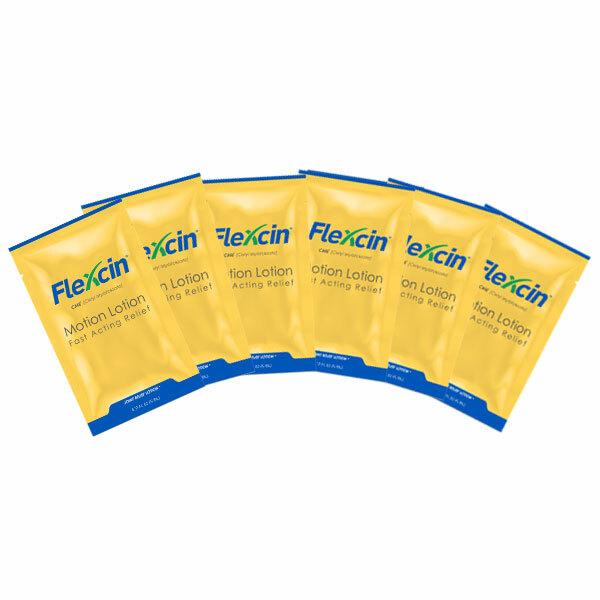 Also, a lady in my exercise class was having problems with her lower back and I told her about Flexcin. I told her about my results and my daughters results and she just recently sent for it. She just started taking it and said she already feels better and she really looked good, she looked pain free. 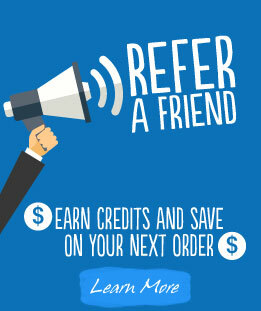 It really is an amazing product and I'm glad I can recommend it to my family and friends. From Sisly Melendez of Anchorage, Alaska on 7/5/2016 . From the beginning my knee seemed better. It was recommended by a friend who has joint problems and pain. I am still taking it after knee arthroscopy. I imagine I will have to give it a few more months to see full results. From Lois Hansen of Park City, Utah on 5/11/2015 . joint supplement on the market. From Robert Musilowski of Naples, Florida on 5/3/2015 . 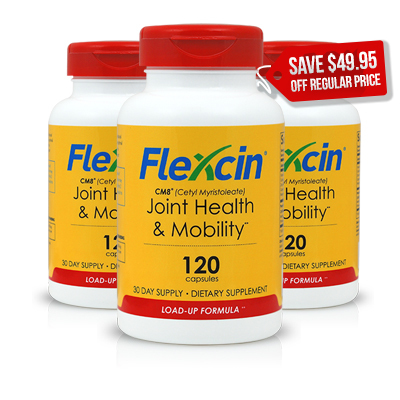 I started taking flexcin because I had massive pain in my left shoulder due to a car accident. I could not rotate my left arm and I was not sleeping because of the pain. The first night that I took flexcin I was able to sleep. The next morning, I was able to rotate my left arm. Flexcin worked immediately. It relieved a lot of the inflammation I had on my neck and left shoulder. I continue to take it religiously and am very happy that I found this product. 11/24/2017 – How much glucosamine is in each of these products? 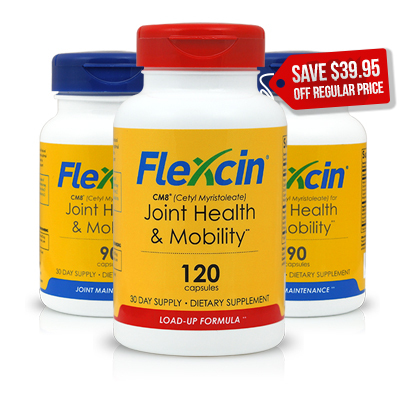 Response From Flexcin International: Our products contain 100 mg of glucosamine per capsule. Or maintenance formula you take 3 capsules daily and for our Load Up Formula you take 4 capsules daily. Our complete formula is specifically designed to deliver the right ingredients to your body for best results. Magnesium Stearate, Maltodextrin M100, Tixosil Silica. Maltodextrin M100, Mycrocrystalline Cellulose, Magnesium Stearate, Silicon Dioxide.